Due to the IP code IP44, the model Kabuki is not an ordinary floor lamp which you would generally find in a living room, but is relatively weather-resistant and can be used outdoors. The terrace, the loggia or the balcony are the right place for a gem like Kabuki to shine. 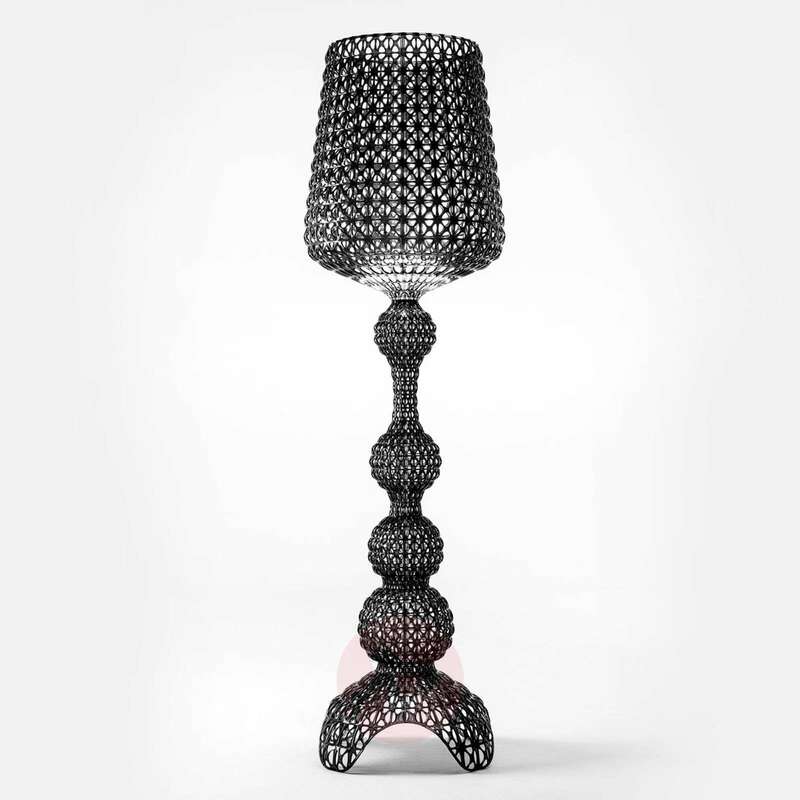 The frame and lampshade are both made of thermoplastic technopolymer in an injection moulding process. With the help of this process, you can produce a surface which is strewn with little gaps and has a structure which is reminiscent of lace. Although it was produced from modern materials in a modern process, the shape of the light is more reminiscent of baroque and really classical lights. The many little gaps in the lampshade produce an interesting play of light when the light is turned on. The Italian architect and designer Ferruccio Laviani is responsible for the Kabuki model. 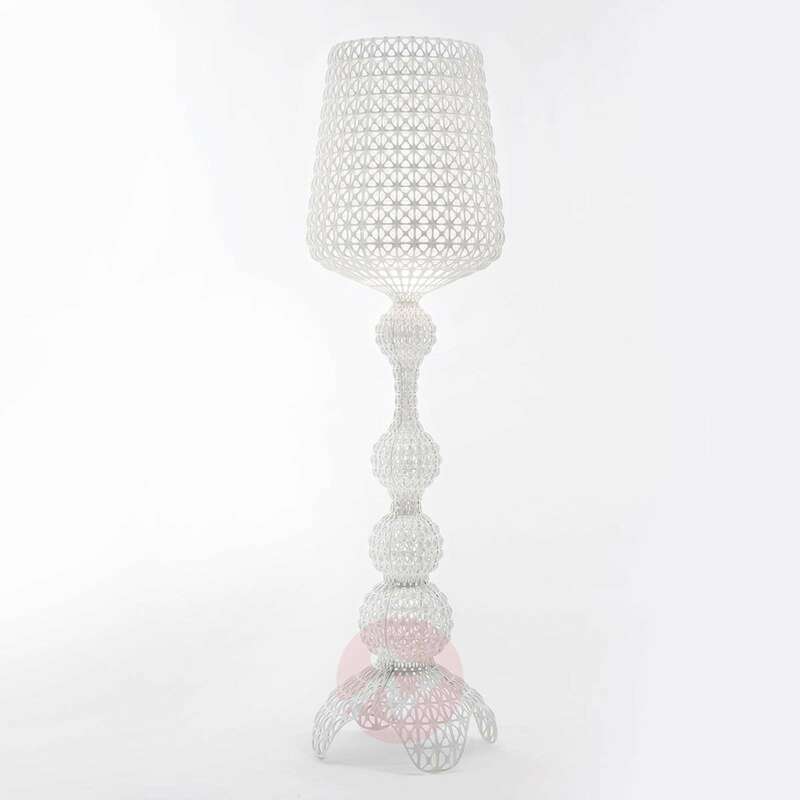 As the Art Director of the company Kartell for many years, Laviani has already designed a number of lights for the Milan-based company. Kartell became known as a pioneer for furniture, lights and other articles of daily use made of plastic. Designer pieces, such as miscellaneous chairs, tables and lights, have been created since the foundation of Kartell in 1949 and are now already amongst the classics of their kind.